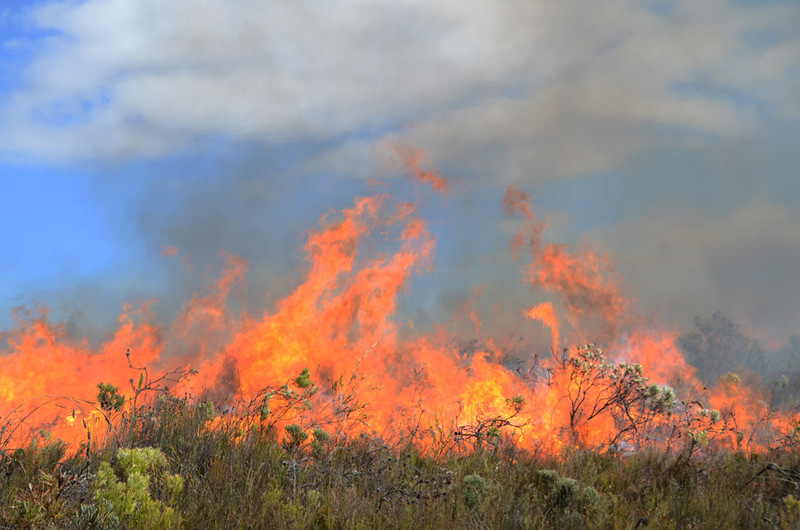 The goal of the project is to reduce the country's environmental, social and economic vulnerability to the increased incidence of wildfires in order to adapt to climate change effects. This is to be achieved through a biome-scale change in the fire management approach from reactive fire-fighting to proactive integrated fire management (IFM), including managing the ecosystem through controlled burns. 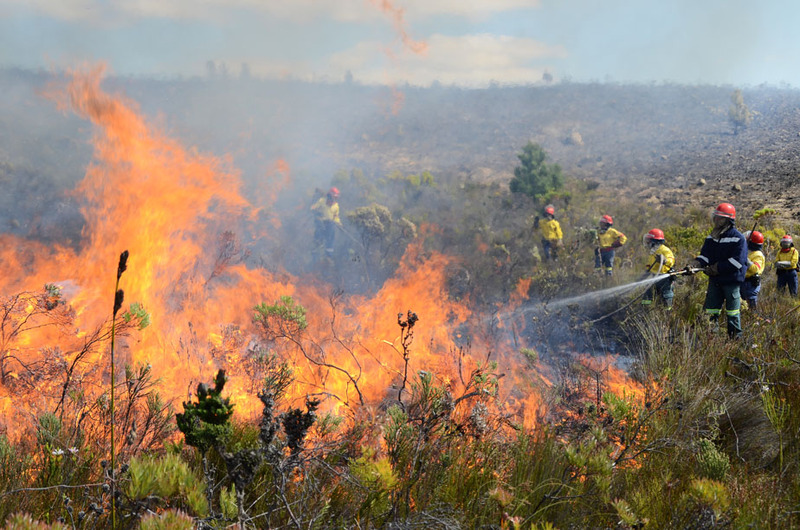 Those living in the Fynbos Region in South Africa at high risk of experiencing wildfires caused by climate change induced droughts. Wildland fire occurrence in South Africa is a function of vegetation (fuel availability), climate ("fire weather” conditions, with key critical limits of dry spell duration, air humidity, wind speed and air temperature), and ignitions (lightning or human and other sources). While wildland fires are a natural feature of fire-driven ecosystems, changes in climate will have adverse affects through altering the future occurrence of wildland fires, and the area burned, in various ways that involve weather conditions conducive to combustion, fuels to burn and ignition agents. These influences may be summarized as follows: (i) increased local climate variability and weather extremes are likely to be characterized by decreased intensity of rainfall and moisture in the dry period; (ii) the predicted increases in surface air temperatures as a result of climate change will increase rates of evapotranspiration, and desiccate the fuel load; (iii) the increase in spatial and temporal variability in wind patterns are likely to result in hot and dry winds, notably in the interior areas of the country; (iv) an increased incidence of lightning storms; and (v) the increased carbon uptake in vegetation (notably in invasive alien species) will increase the rate of increase of quantity of combustible biomass. Together, these drivers will influence the number of days where the risks of fire (as measured by the Fire Danger Index) are dangerously high. Outcome 3: Innovative risk reduction interventions implemented, in close cooperation with the insurance industry, with the special coverage of no less than 20,000km2. Project Inception Workshop: will be held within the first 2 months of project start with those with assigned roles in the project organization structure, UNDP country office and where appropriate/feasible regional technical policy and programme advisors as well as other stakeholders. The Inception Workshop is crucial to building ownership for the project results and to plan the first year annual work plan. Day to day monitoring of implementation progress: will be the responsibility of the Project Manager, based on the project's Annual Work Plan and its indicators, with overall guidance from the Project Director. The Project Team will inform the UNDP-CO of any delays or difficulties faced during implementation so that the appropriate support or corrective measures can be adopted in a timely and remedial fashion. Project Progress Reports (PPR): quarterly reports will be assembled based on the information recorded and monitored in the UNDP Enhanced Results Based Management Platform. Risk analysis will be logged and regularly updated in ATLAS. Annual Project Review/Project Implementation Reports (APR/PIR): This key report is prepared to monitor progress made since project start and in particular for the previous reporting period (30 June to 1 July). The APR/PIR combines both UNDP and GEF reporting requirements. UNDP CO and the UNDP RCU will conduct visits to project sites based on the agreed schedule in the project's Inception Report/Annual Work Plan to assess first hand project progress. Other members of the Project Board may also join these visits. A Field Visit Report/BTOR will be prepared by the CO and UNDP RCU and will be circulated no less than one month after the visit to the project team and Project Board members. Mid-Term Evaluation: will determine progress being made toward the achievement of outcomes and will identify course correction if needed. It will focus on the effectiveness, efficiency and timeliness of project implementation; will highlight issues requiring decisions and actions; and will present initial lessons learned about project design, implementation and management. Findings of this review will be incorporated as recommendations for enhanced implementation during the final half of the project's term. Final Evaluation: will take place three months prior to the final Project Board meeting and will be undertaken in accordance with UNDP and GEF guidance. The final evaluation will focus on the delivery of the project’s results as initially planned (and as corrected after the mid-term evaluation, if any such correction took place). The final evaluation will look at impact and sustainability of results, including the contribution to capacity development and the achievement of global environmental benefits/goals. The Terminal Evaluation should also provide recommendations for follow-up activities. Project Terminal Report: This comprehensive report will summarize the results achieved (objectives, outcomes, outputs), lessons learned, problems met and areas where results may not have been achieved. It will also lie out recommendations for any further steps that may need to be taken to ensure sustainability and replicability of the project's results. Results from the project will be disseminated within and beyond the project intervention zone through existing information sharing networks and forums. The project will identify and participate, as relevant and appropriate, in scientific, policy-based and/or any other networks, which may be of benefit to project implementation though lessons learned. The project will identify, analyze, and share lessons learned that might be beneficial in the design and implementation of similar future projects. Establish a two-way flow of information between this project and other projects of a similar focus. Containing more than half the region’s floral diversity and over 300 species of trees and bushes, Armenia’s forest ecosystems form a vital eco-corridor that extends through the Eastern Lesser Caucasus. Although these forests are a biodiversity hotspot and a global conservation priority, the region has been identified as critically vulnerable, especially to the risks posed by climate change. Given the significant value of preserving the area’s biodiversity, this project is working to enhance the forest’s resilience through improving ecological restoration, preventing forest fires and fighting pests. 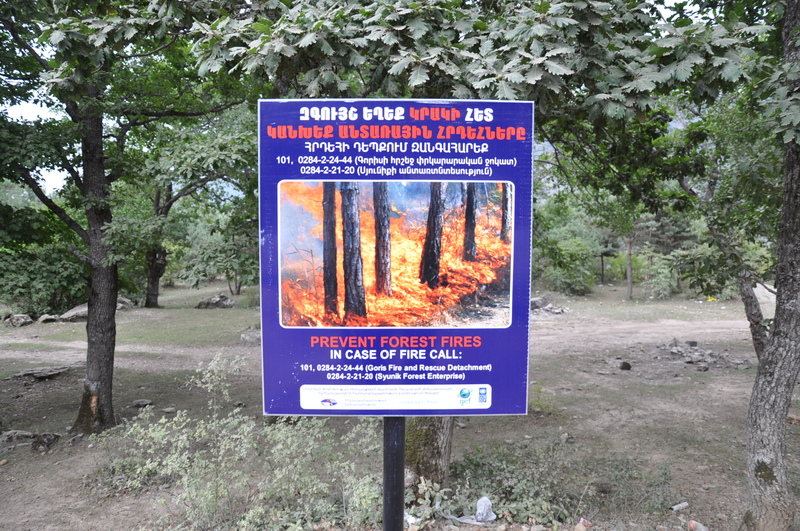 Targeting 75,000 hectares of land, UNDP, in cooperation with scientists, government officials, forestry enterprises, and local communities, is working to preserve the forests. Efforts are also being made to support the local communities to participate in and benefit from the adaptation efforts. By integrating measures to adapt to climate change, the project is also responding to anticipated environmental changes that will occur over the next 25 to 50-years. 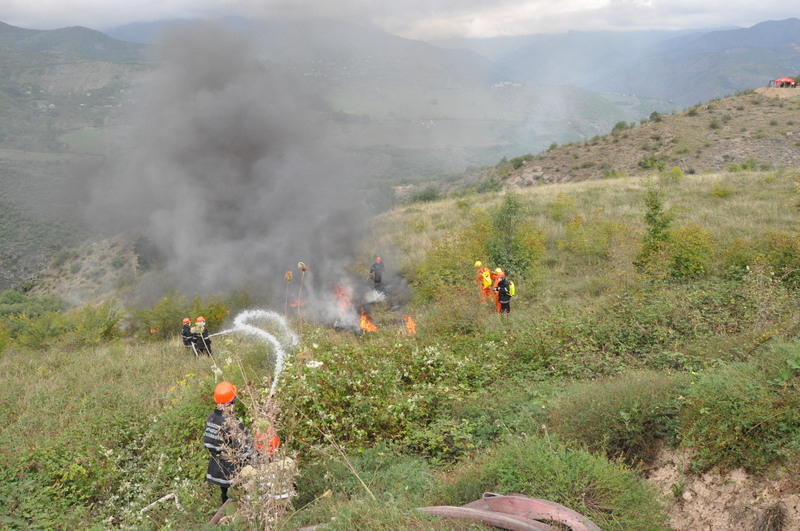 The immediate focus of pilot adaptation measures are in the Syunik region in south-east of Armenia, but the project may be of broader relevance to all mountain forest ecosystems in Armenia. The local communities in the Syunik region in south-east Armenia, but with broader relevance to all mountain forest ecosystems in Armenia. The climate of Armenia’s Syunik region is remarkably diverse due to its complex topography. The high altitude above sea level, orientation of the mountain ranges, and occluded borders of the river valleys and basins has a notably large impact on the local climate. In general, the climate is quite dry owing to the high elevation of the terrain above sea level and its relief. The annual precipitation in the Syunik region is irregular, as is the distribution of the rainfall, which varies dramatically in certain areas and increases with elevation. Analysis of observed data from 1978-2007 shows that there has been a significant reduction of precipitation in the area. Projections based on statistical analysis suggest that a further reduction of precipitation is very likely during the next 2-3 decades. Although it is less alarming than reductions in precipitation, air temperature increases have been reported. Average air temperature during the period of 1935-2007 has increased by 0.7°C during the summer season. If climate change scenarios become reality, based on these projections, more than 17,000 hectares of forest might disappear in Armenia as a result of the worsening forest growth conditions (5-5.5%). Expected climate changes could adversely affect forest ecosystems by worsening sanitary conditions, enlarging the spread of pests and diseases and increasing fire hazards. In this case, forests in the southeastern forested areas will be the most vulnerable. Moreover, with the expected temperature increases in the already arid climate, the probability of more intensive forest fires will rise. This particular danger is more imminent for forests in central, southern and southeastern forested areas. 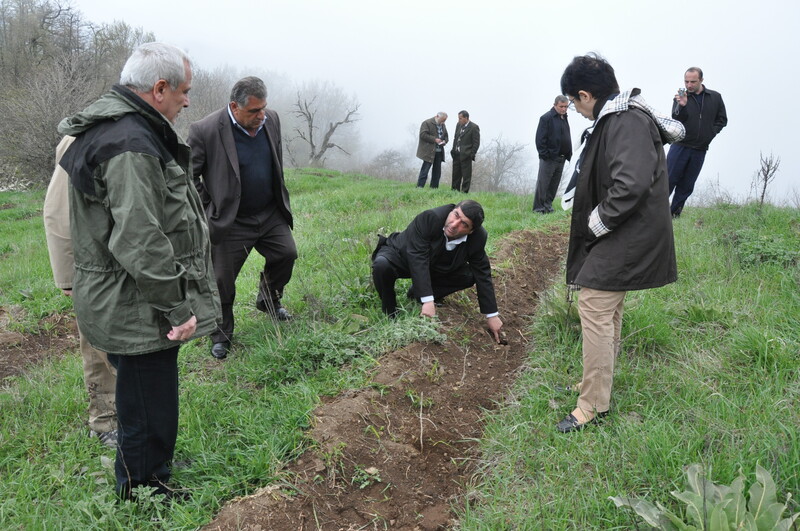 In response to the problems outlined above, the project Adaptation to Climate Change in the Mountain Forest Ecosystems of Armenia has been designed to help Armenia develop strategies to cope with the consequences of climate change. 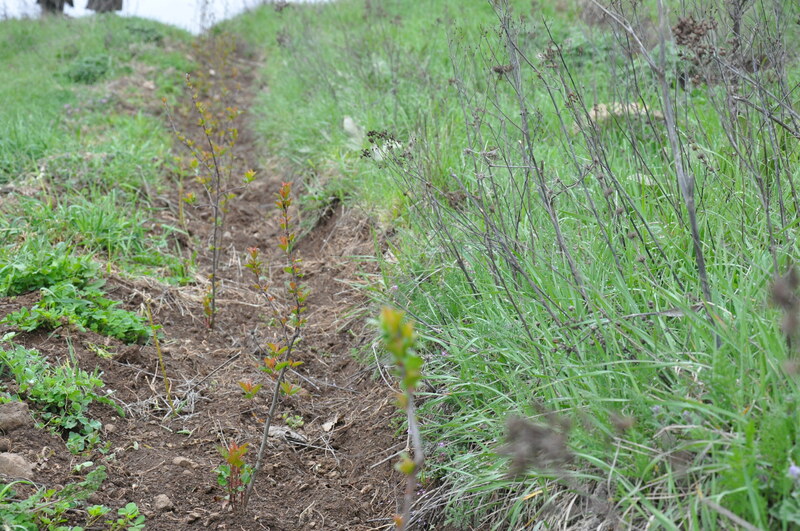 In order to enhance the adaptive capacities of the vulnerable mountain forest ecosystems in the pilot region, the project will undertake activities in the Goris and Kapan districts of Syunik and also in “Arevik” National Park in Meghri district. Selected adaptation measures aim to reduce forest fragmentation, improve ecological restoration and mitigate increased pest outbreak and forest fire risks exacerbated by climate change. With a high value placed on long-term monitoring and careful project documentation, lessons from the project are expected to be replicated in other mountain forest ecosystems of central and northern Armenia. Outcome 1: The enabling environment for integrating climate change risks into management of forest ecosystems is in place. Outcome 3: Capacities for adaptive management, learning and replication of project lessons are developed. Project monitoring and evaluation will be conducted in accordance with established UNDP and GEF procedures by the project team and the UNDP Country Office (UNDP-CO), with support from the UNDP/GEF Regional Coordination Unit in Bratislava. The Logical Framework Matrix provides performance and impact indicators for project implementation along with their corresponding means of verification. The logframe is developed based on UNDP/GEF impact monitoring framework at adaptation project level, specifically, technical paper (TA) on natural resource management. Since the proposed project falls under the following broad category – “The reduction of anthropogenic stresses on resources experiencing increased stress due to climate change, and enhancement of the resilience and adaptive capacity of natural systems in order that they are sustained in the face of climate change” – the corresponding indicators have been customized. Main indicators are designed to help detect (i) introduction of new policies, regulatory frameworks and management plans that are devised based on scenario planning; (ii) reduction in ecosystem fragmentation containing natural resources of concern, leading to enhanced resilience (iii) Number of sites/locations where stress reduction measures are piloted (iv) learning and replication potential..
Additionally, given that the target of adaptation measures is globally significant ecosystems, the project team has been guided by the GEF’s METT (Tracking Tool for SP2- Mainstreaming Biodiversity) in identifying indicators for measuring the biodiversity benefit of additional adaptation measures. Based on a review of the METT proxy indicators, two indicators (one relating to territorial coverage (ha) and the other to integration of adaptation measures in the forest sector management planning documents) have been selected. Logframe indicators will form the basis on which the project's Monitoring and Evaluation system will be built. In addition, Output 3.3 of the project relates specifically to monitoring, evaluation and adaptive management capacities over the long term through the establishment of a long term monitoring programme. The M&E plan includes: inception report, annual project implementation reviews, quarterly operational reports, and independent mid-term and final evaluations. GORA will provide the Resident Representative with certified periodic financial statements, and with an annual audit of the financial statements relating to the status of UNDP (including GEF) funds according to the established procedures set out in the Programming and Finance manuals. The Audit will be conducted by the legally recognized auditor of the Government, or by a commercial auditor engaged by the Government. The project's Monitoring and Evaluation Plan will be presented and finalized at the Project's Inception Meeting following a collective fine-tuning of indicators, means of verification, and the full definition of project staff M&E responsibilities.